Afghan militant leader Jalaluddin Haqqani died at least a year ago, the BBC reported. It appears the founder of the Haqqani network died after a long illness and was buried in Afghanistan. Rumors about Jalaluddin Haqqani’s death have circulated for some years and can still not be independently confirmed. The latest report comes a day after the Taliban acknowledged that its leader, Mullah Omar, was dead. Reports of Jalaluddin Haqqani’s death, quoting Taliban sources, also appeared in Pakistani media on July 31. One senior Afghan official said he had died six years ago. The network has never confirmed the death of its founder. However, a man linked to the family denied reports, telling the BBC that Jalaluddin Haqqani was still alive but ill. The Haqqani network – based in the tribal regions of Pakistan with links to al-Qaeda and the Taliban – has been behind many of the co-ordinated attacks on Afghan and NATO forces in recent years. 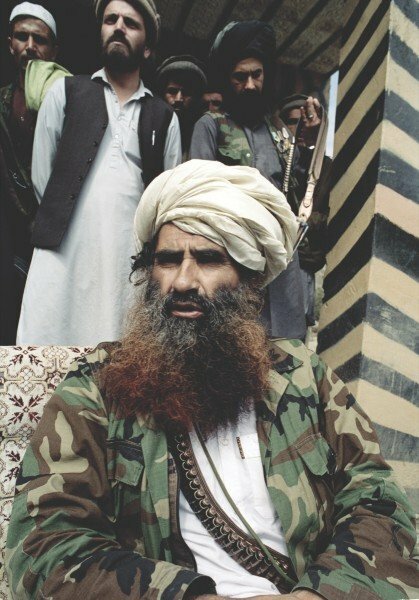 Jalaluddin Haqqani’s son, Sirajuddin Haqqani, has long been thought to be in de facto control of the group and has just been announced as a deputy leader of the Taliban. Jalaluddin Haqqani was an Afghan guerrilla leader who fought Soviet troops that occupied Afghanistan in 1980s. US officials have admitted that at the time Jalaluddin Haqqani was a prized asset of the Central Intelligence Agency (CIA). However, Jalaluddin Haqqani later allied himself to the Taliban after they took power in Afghanistan in 1996. Jalaluddin Haqqani served as a cabinet minister under the Taliban’s supreme leader, Mullah Omar. The Haqqani network was one of several militant groups that operated from the tribal areas along the Afghan-Pakistan border following the US-led military campaign in Afghanistan, which began in 2001. As the Haqqanis grew in strength, Pakistan’s security establishment was accused of secretly supporting the group, although it has strongly denied this. Analysts say the Haqqani network has always been part of the Taliban and its members accepted Mullah Omar as their leader. On July 30, the Taliban said they had appointed their deputy leader, Mullah Akhtar Mansour, as successor to Mullah Omar. Correspondents say the move is likely to divide the group and that many senior figures opposed the appointment.